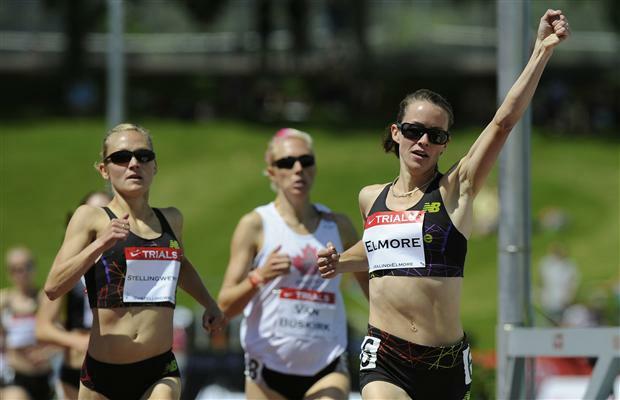 Canadian Olympic Trials | Run S.M.A.R.T. Congratulations to Run SMART coach Malindi Elmore for winning the Canadian Olympic Trials in the 1500m! Malindi won the race in 4:13.58. [Full results] This was her second Olympic Trials title (2004 and 2012). Unfortunately, Malindi will not compete in her second Olympic Games because she only reached the Olympic B standard this summer. She needed one A and one B standard along with finishing in the top three at the Trials. Congrats on a great season, Malindi! We’re biased but we think the winner of the Olympic Trials should represent their country at the Olympics. Canada will not be bringing their “A” Team to London.